I've been following the work of Atlanta-based photo stylist Annette Joseph for several years, she is both a stylist and producer who specializes in lifestyle editorial images for American print magazines such as Better Homes & Gardens. Annette has been doing this for over 15 years and is currently working on her first book and a television show based on her book about style and entertaining. When I read her bio I enjoyed learning more about how she produces editorial images, "Her special production products include conception of projects and storyline. 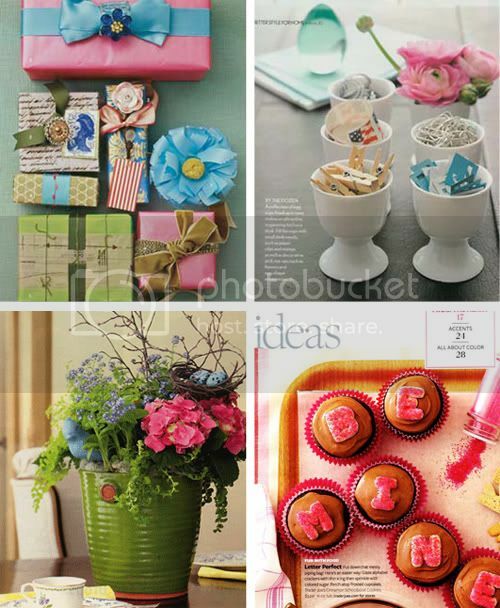 This can include anything from simple craft projects to decor tips and recipe and entertaining ideas. From presenting the initial story idea to producing and styling the final product. Annette can handle it all bringing style and creativity to your projects." Do you recognize her work? Some of these images I've had tacked to my inspiration board over the years from time to time. 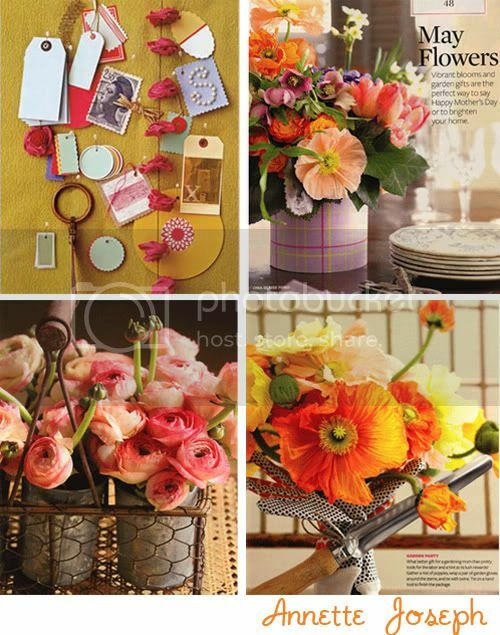 I particularly like her pages that involve craft layouts and floral arrangements because they feel casual and creative -- when I see her layouts I feel like doing something creative too which is a sure sign that I need to surround myself with more of this person's work!